I just started assembling the Pocket PiGRRL kits from the below order 874788-2744159703 from September and one of the PowerBoost 1000C is defective. 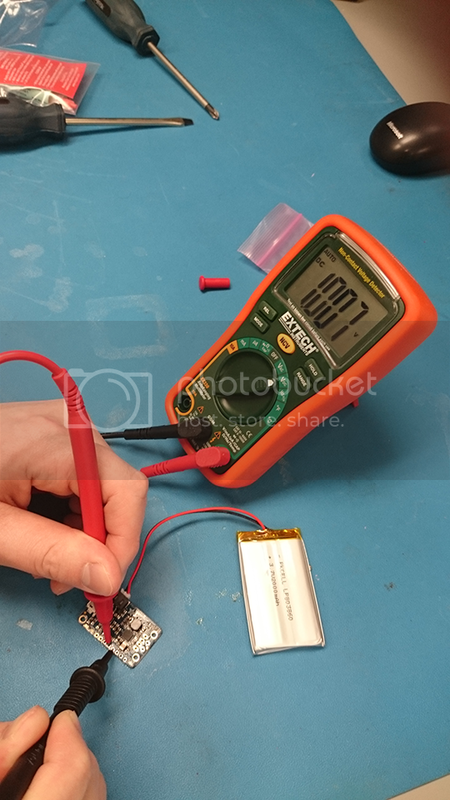 When the battery is connected the PowerBoost becomes instantly very hot (burning skin) and the Low red LED and the blue power LED both flash very dimly. 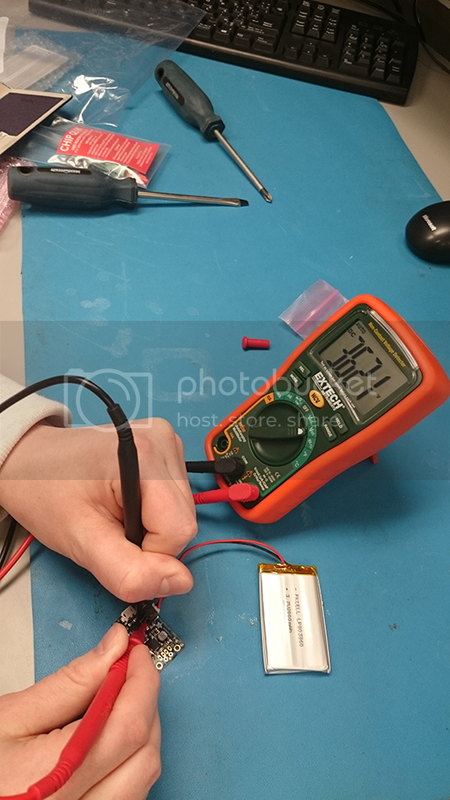 I have attached some pictures of the readouts from my multimeter. I have had no problems with the 2nd PowerBoost one. Not sure if anything can be done, however I figured you should know about this problem since other users have also had similar problems.